Seeing as so many people read my previous blog posting I thought I would continue with my keeping people up to date with all the things virtual and linked to virtual that i have been doing/working with/learning/reading up on this week so far. Recently I had to explain to some people what Distributed V switches were and how they worked. Not wanting to make a fool of myself I went back to an article I used to strengthen my knowledge on the topic before my VCP4 exam and clarified what I was telling the people was correct (which it was thankfully) .It’s a great posting from Barry Coombs(@virtualisedreal) for anyone unsure or confused on what distributed switches are and what they do/are used for. As I’ve said in previous blog postings, I’m trying to grow my knowledge in powershell scripting as I feel this will only help make my daily job easier but it will also enable me to do it better in the future. Jonathan Medd directed me to a great podcast covering the topic called Get Scripting Podcast. I’ve unfortunately only been able to listen to a few of them but my aim is to get through them all before January next year. They are great for anyone wanting to learn ways of making their daily jobs easier and also to learn all the latest going’s on. 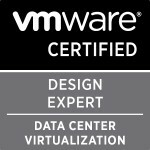 If you’ve read my blog postings on my preparing for the vcp4 exam you would know I used Scott Lowe’s (@scott_lowe) mastering VMware vSphere book. Now he has a new reference guide out called: VMware vSphere 4 Administration Instant Reference. It looks like another great reference guide for anybody in the VMware field and is another book I have added to my ever increasing Amazon wish list. Last but not least a big congratulations to Jonathan Medd(@jonatanmedd) ,Matt Roblin(@mattroblin) , and Maish Saidel-Keesing(@maishsk) on the passing of their vcp4 exams this past week . Categories: Virtualisation | Tags: EMC, VCP, VCP4, Virtualisation, VMware | Permalink.